Located near the intersection of Lynn Road and Glenwood Avenue, Lynnwood Grill & Brewing Concern is the kind of place where you take your family or meet your friends for an environment that’s fun, comfortable and doesn’t compromise quality. Whether you’re new to the Northwest Raleigh area or have lived here for years, LBC is all about creating a community. As a neighborhood bar and grill for residents of Grove Barton Road, Hilburn Drive and beyond, we’ve watched people grow, progress, move up and move back. Kids who grew up coming to Lynnwood Grill often come back from college and work summers and Christmas break. 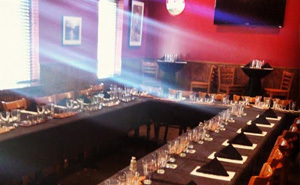 Our management helps our staff reach their potential by promoting hosts to servers to bartenders to managers. We sponsor local teams, tournaments, fundraisers and more, as we strongly believe in giving back to the Northwest Raleigh community that has helped us grow. 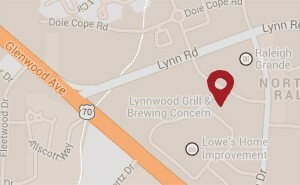 Lynnwood Grill & Brewing Concern’s success over the past 10 years has been achieved by treating our customers and staff well and providing a high-quality product and service for a fair price. With our great menu, house-brewed craft beer, events and other specialties, we’re confident that we have something to offer the Northwest Raleigh community. So stop by on your way home or make LBC your regular spot, and join in the fun. Contact us if you have questions about Lynnwood Grill & Brewing Concern sponsoring your team or event, or to hear about weekly specials. Through our craft beer, great food and friendly staff, Lynnwood Grill & Brewing Concern serves the local Northwest Raleigh community, including Pinecrest Townhomes, ECPI University, Lynn Road, Glenwood Avenue and beyond.